However, starting with Angular.js wasn’t as easy as it was for learning Backbone.js. For Backbone.js, I just read their docs and went through the annotated source codes to have a complete understanding. Also, Addy’s Developing Backbone.js Applications helped a lot. Angular.js however, got a comparatively much bigger documentation and it is bit hard to follow only their guides to get started with the library. However, once I grabbed a good book for Angular.js, I found their documentation to be a great help. After lots of research and discussions with my Angular.js team, I started with Pro Angular.js . So far, I found it quite interesting as a beginner. For a test application like this, I just started writing codes as the book asked me to. I didn’t make a proper folder structure or architecture. These things will come later for sure. There is only one view and that is the index.html file. The model is a simple one. The controller is even simpler. Just to make sure that $scope is something very important here and all the things you want to access in the view, must be available to the $scope. So, I had to put the model (or part of the model if required) and a counter function as properties of $scope. Unlike other JS libraries where I used to take care of looping through model by a template engine like Handlebars or Mustache, here Angular itself takes care of it with the ng-repeat directive. Adding a ng-model directive in the checkbox takes care of changing the model data – two way binding it is. I never found myself comfortable using MVVM pattern earlier but here I kinda liked it. They did it with a directive and there are a long list of HTML elements which works good with ng-model directive. I tried with the ng-show and ng-hide directives to toggle the ‘Yes’ and ‘No’ options. Though it worked fine but I am still not sure whether it is the best possible way or not. Lastly, to show the count of incomplete items, I added a function in the controller scope. They are calling it controller bahavior. It seems the function gets called every time there is a change in the model data. Interesting! 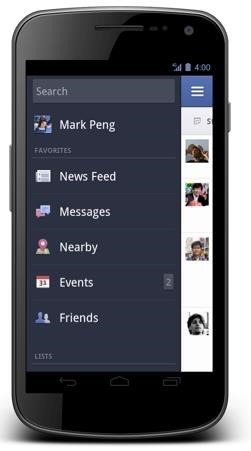 Anyway, it serves the purpose of modifying the data on the go as user checks or unchecks a todo item. So far, a basic ToDo app is created with quite less codes and with some interesting components. I am going to look into controller behavior more tomorrow and will come up with another post for the second part of the application. 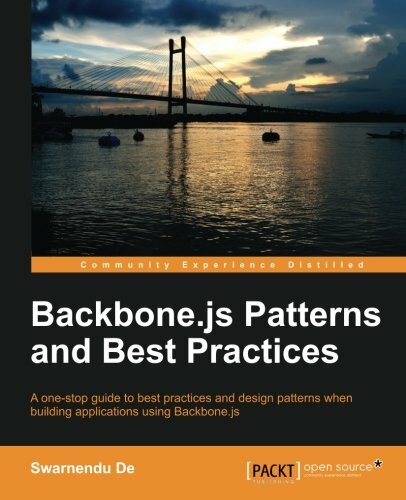 Readers would be pleased to know that I have teamed up with Packt Publishing to organize a Giveaway of my new book that I have written – Backbone.js Patterns and Best Practices . The contest will close on 20th Feb, 2014. Winners will be contacted by email, so be sure to use your real email address when you comment! Few days ago I was searching for a mobile image gallery with sencha and I found a great extension for jQuery Mobile at PhotoSwipe . It seems almost all the apps developed with jQuery Mobile and with an Image gallery are actually using this extension for the gallery. However, while searched for the same with Sencha Touch, I hardly found something readily available. A number of posts are there in the Sencha Touch forum asking for a ready-made component – but there isn’t available till now. 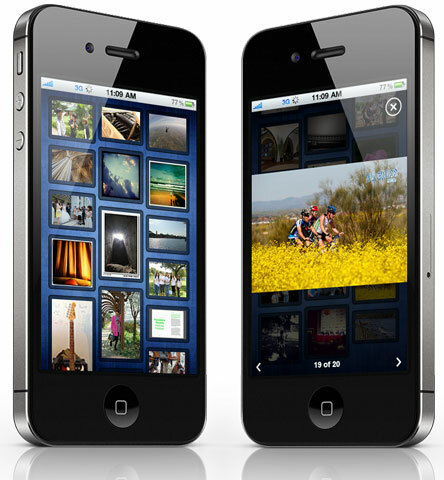 So, here is one simple photo gallery with a tweak which I used lately for one of our products. Let’s start with creating a Sencha Touch project. There are mostly two views – one panel to show the thumbnails and the other is a Carousel to show full view of the images. I have used a Sencha Container to show thumbnails with template. However, you can use a Dataview if necessary but in that case you need to change the css a bit.